Many organizations are now embracing the use of smartphones and tablets to increase productivity in the workplace, and as a result sensitive data goes mobile, whether your organization’s security policies are ready or not. Your mobile endpoints are threatened across app and network-based threats, to device level and web-based threats. Managing these threats from every attack entry-point is no small task. 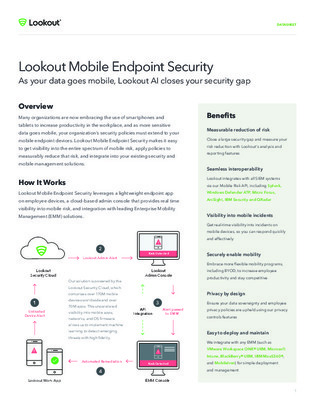 Download this data sheet to learn about a comprehensive mobile endpoint security strategy that uses AI to close any potential security gaps – protecting your data at all levels.